No, it’s not an official idiom…but it might find it’s way at Anderson Farms. 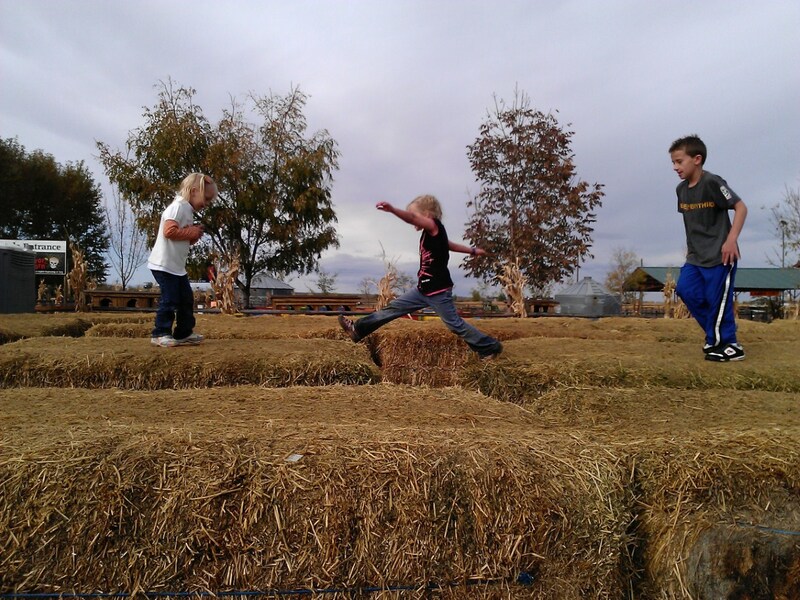 Definition: knowing you’ve grown tall enough to leap the stacks of the hay maze? 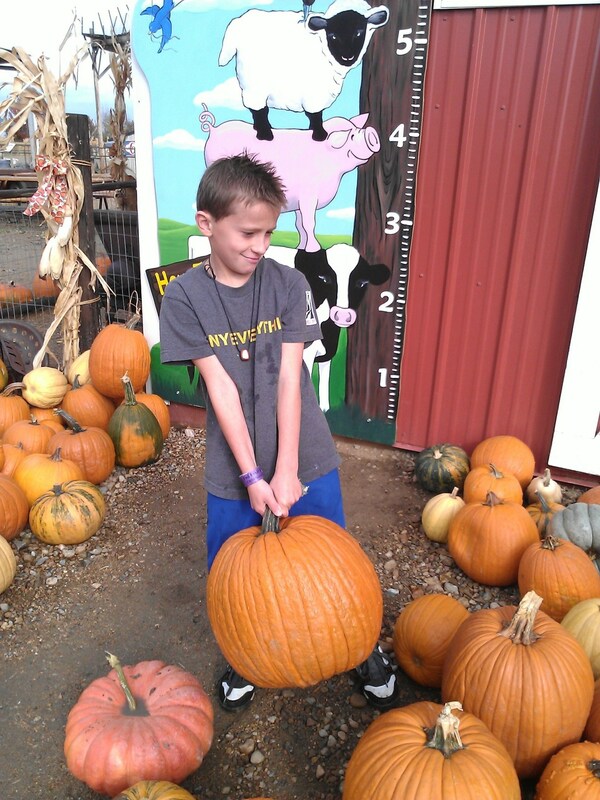 Or maybe when you can tote the largest pumpkin in the patch? 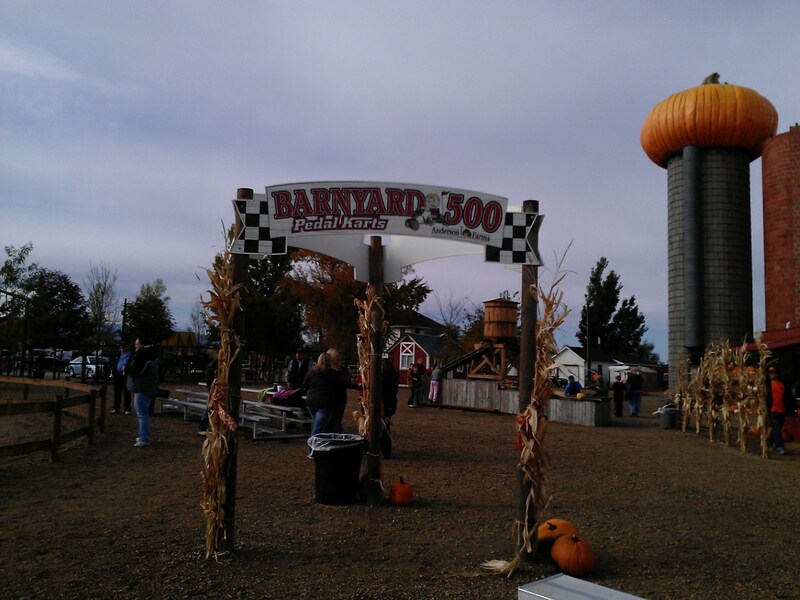 It’s corn mazes, hay rides, live music, s’mores pit, pumpkin patches, pedal cars, barrel train rides, panning for gemstones and steaming hot cocoa with chocolate chip cookies inside a large barn brimming with confections and souvenirs (and lots, lots more!). It’s the stuff fall dreams are made of…and a family tradition we look forward to each year. 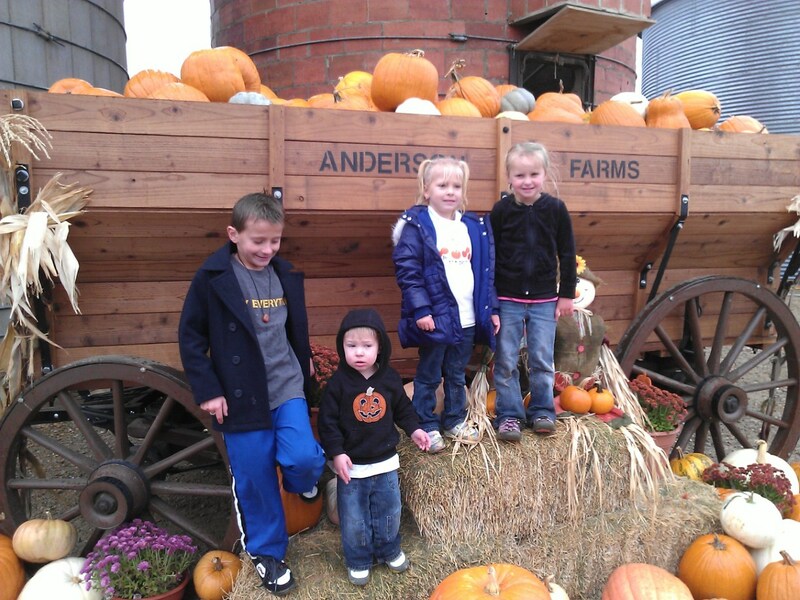 It’s Anderson Farms Fall Festival! While we did encounter a bit of rain this year, we didn’t get washed out…and when the showers did subside, we were ready to play hard – mud puddles included! 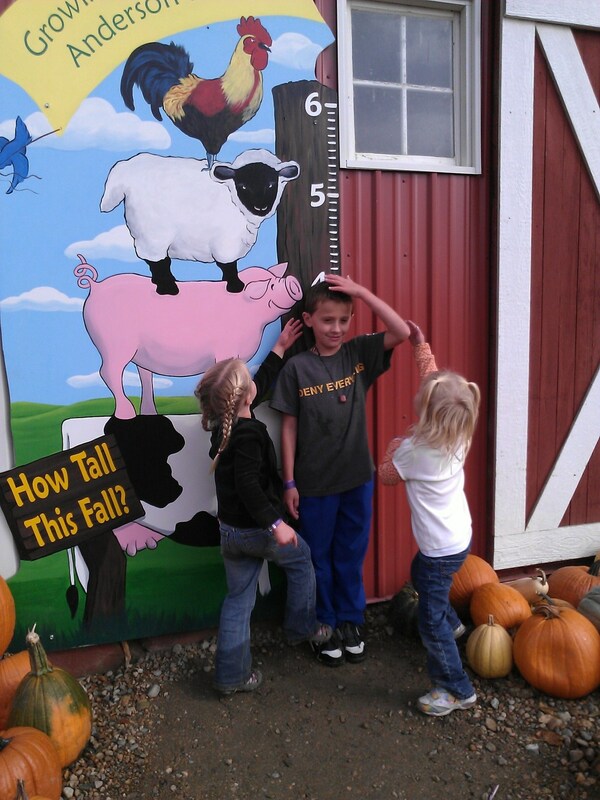 And this is it…the photo op: farm animal growth chart! Silas is as tall as a pig’s nose. We’re hoping for at least a lamb’s knees next year. Ryan is just past a cow’s utter, Charlotte and Noelle couple of hands above a pig’s belly. We captured adorable photos of each of the cousins measuring one another – and after a few years at this, we should have an adorable photo collection of our children growing up together…and maybe even enough to ruffle a rooster’s tail feathers! Also new this year: a giant pumpkin on a silo. It’s an interesting sight to behold. 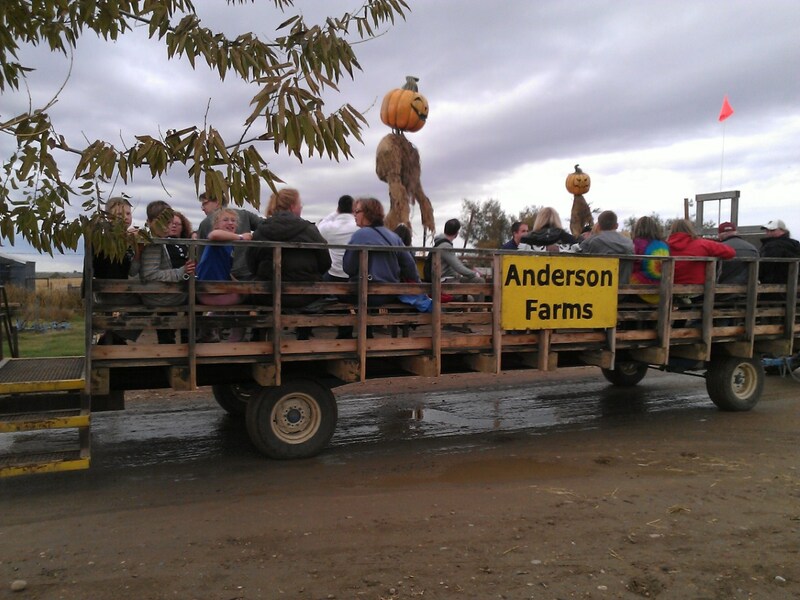 Colorado has several fall festivities around the state – I recommend exploring them all – but Anderson Farms is a must-see! Plan to spend the day, food available for purchase, entertainment galore, wheel barrels help haul giant pumpkins and the people are amazingly hospitable and gracious in their traditional western welcome to all!